No, she didn’t get into an accident or have a major breakdown. Shortly after I got to Nepal I found a helper who encouraged me to purchase a scooter, pictured above. Fortunately for me, he didn’t last but a couple weeks, but the scooter lasted for the two years and ten months that I’ve been here. She’s been amazing and I had to force myself to keep from changing my mind when I took my last look at her. Just the fact that I was able to purchase the scooter was a miracle to me. Tourists on a ‘visitor visa’ are not allowed to own a vehicle. You need a student, work, resident or business visa, but not only was I able to take possession of her, but the man even gave me credit. The cost was probably at least $100 more than it should have been but having her has saved me much more than that in transportation costs. I’m not just mourning this loss for myself here, but I want to use the experience to help you to understand the way things work here in Nepal a bit better. First, I put a free ad on the internet. Nepal has a couple of active websites and for buying and selling things http://hamrobazaar.com or the google group KTMKTM. The google site is more for expats and is an ideal place to ask the most ridiculous question: Should I bring my own toilet paper to Nepal? No one will laugh at you and everyone is very eager to help. One problem with that site is so many Tameli (a term coined by me in my book to describe people in Tamel who like to prey on tourists), trekking guide type people trying to befriend anyone who doesn’t know they don’t need to bring toilet paper to Nepal. More money than brain cells is one of the Tamel touts’ dream clients. I got several calls and the first one man said he wanted to buy it for his mother. He was a very nice man, but quite wealthy by Nepali standards. He got a great deal at 15,000 NRs. He even asked me if I would deduct enough for him to buy his mother airless tires. I laughed. He took the scooter and bill book and agreed to meet us the following day at the motor vehicle registration office to transfer title. This department is a total mess! There were people, both buyer and seller, there for three days! The first problem was finding the place. It is not on a major road and it was not easy to find. The agency was not in one building, but rather spread out for at least two blocks with offices on both sides of the street. There must have been between 500-600 people all waiting for one of the steps of the process-for 3 days! It was chaos! We hired an agent who could get us out of there in only a few hours. We split the 1,000 NRs. fee for the man and I found a table at a nearby local restaurant to wait. I waited about an hour and a half and later found a great spot to people watch under a Pipple Tree with a little temple and Ganesh. What amazed me was that no one seemed frustrated; they just took all this in stride. No stress, no fights, nothing. 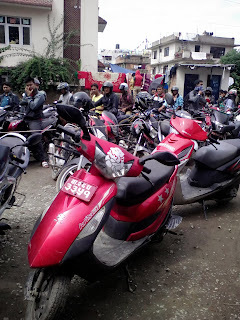 The Nepali acted as if it was normal to wait so long to transfer a vehicle. Notice all the people behind the string? The line was out to the street! I’d been reading posts about how great street food is in Asia, which is not my take on it. 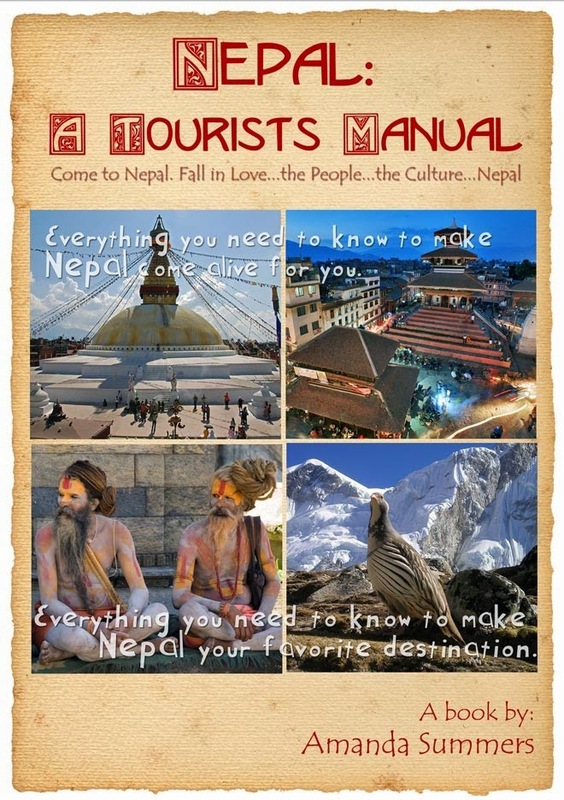 In my book, Nepal: A Tourist’s Manual, I suggest that it’s best to avoid street vendors. 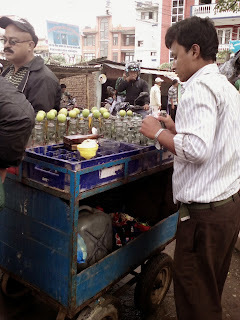 As I sat under the Pipple tree I watched a street vendor making lemon drinks. It looked interesting, but there was no place for the young man to wash his hands. It had been raining quite a bit and there was mud everywhere. I noticed him reach down and fold the bottom of his pant legs up, which were already muddy from the street. He just rolled them up so the wet part wasn’t touching his legs and proceeded to make his lemon aide drink for his customers. Do not risk it! Especially if your time here is short, do you really want to spend a couple days on the toilet and then a week recovering from it? Everybody spits in Nepal. I just couldn’t help but wonder how many diseases the man took from his dirty, wet pant legs and put on his hands prior to touching the lemons. My suggestion for food after such an ordeal would be to go to a local, nearby restaurant, but be sure they have running water. Many places do not have water and must wash the dishes outside, seldom with detergent. We went to the nearby Unity Fast Food Restaurant in Satdobato, Chapagaon Chowk, Lalitpur, Tel: 01-5546512. Swastik ordered Tandoori mo: mo. 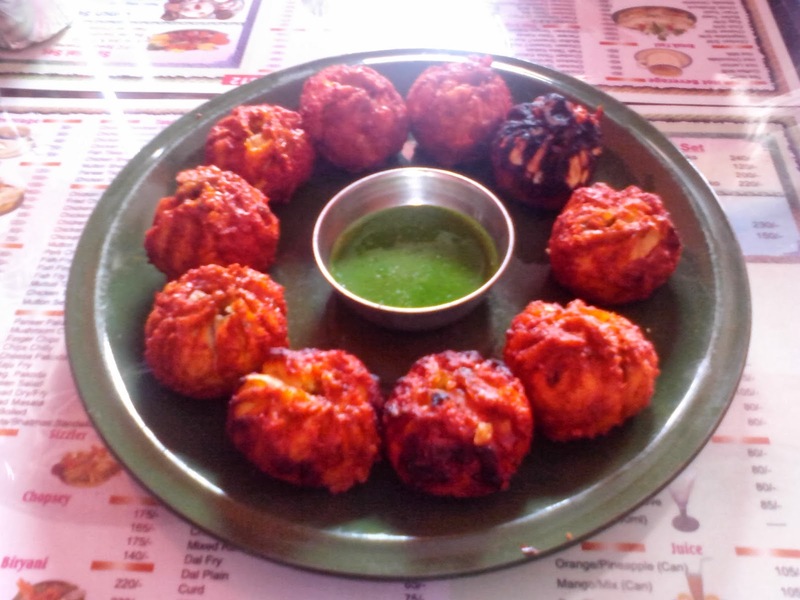 If you are a fan of the mo: mo you need to try them tandoori style, excellent. Actually, if you see a ‘Tandoori’ restaurant it is usually well worth a try. I was told that if you purchase a new car or scooter all this mess is not required, which begs the question, “Why can this not be automated somehow?” Perhaps it has more to do with the private agents who require their ‘commission.’ There were several of these agents handing stacks of paperwork to the officials who were sitting behind their desks reviewing the documents, collecting the tax and then stamping and signing as quickly as anyone could. I saw stacks of paperwork for 5-10 vehicles from each of these agents and all these guys were getting 1,000 NRs. extra each. This process as it is done brings in huge amounts of money under the table each day. It needlessly wastes so much time for so many people. Just from what I saw, there must have been 50,000 NRs. paid to these commissioned agents (obviously split with upper management) while I was standing there. This is one time I would advise anyone to pay the bribe/commission. Surely your time is worth more than $10 for three days. 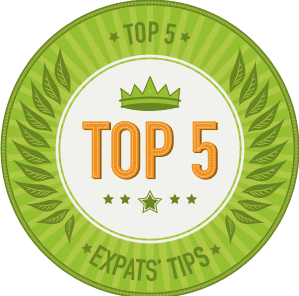 Knowing what to expect can make the process easier to deal with, so I hope this helps your stay in Nepal to be even more amazing. Another issue on this subject that needs to be addressed is, “Do I need a drivers’ license to drive in Nepal?” The answer is unequivocally, “Yes!” If you get into an accident while driving, even if it is not your fault, prison is mandatory if you do not have an international or Nepali drivers’ license. Do not rent a scooter, motorcycle or car without one. International drivers’ licenses are now able to be purchased here. Although you may be able to bribe your way out of such a thing, I guarantee you that driving without a legal license can ruin your time in Nepal. Tip from Nepal: A Tourist's Manual: The guidelines for selecting a place to eat are twofold. First, it should have an actual front door rather than a pull down, metal door. They are more likely to have running water, which makes eating there less of a risk. Second, if you want to eat at a good, local restaurant with great, local prices try to find a restaurant with the sign in both English and Nepali. If it's just in English you will pay tourist prices. If it's just in Nepali you may get more than you bargain for. 'Bacteria? I don't see any bacteria.' If you think I am exaggerating just look again at the second picture of the scooter above. Do you see the man behind it proudly picking his nose? 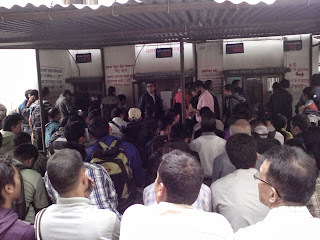 I have never seen a society of proud nose-pickers like they have here in Nepal. Joining the club is almost a requirement. This was a great read, the spitting is worse than in China, it is so loud! And I too noticed the love of the nose pick, especially the females! Broken Taboos everywhere..